IRVINE, Calif. — New-car affordability continued to be a challenge for car buyers in September, with the average transaction price closing in on $35,000, according to Kelley Blue Book. The firm estimated the average new-vehicle price to be $34,861, up $144 from a year ago but flat with August. The year-over-year uptick, however, reflected slowing demand for new vehicles, Kelley Blue Book analysts said. General Motors was the only manufacturer to register a decline, with its average transaction price falling 3% from a year ago. 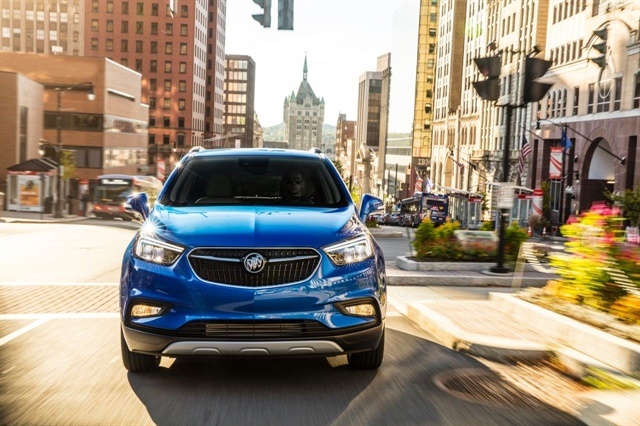 The only General Motors brand to record an increase was Buick, which saw its average transaction price rise 4% from a year ago. The decline could be partly attributed to the discontinuation of the Verano, the firm said, as well as the 2% increase in price for the refreshed Encore. Chevrolet’s average transaction price fell 3%, with the redesigned Equinox recording its best month. Its average transaction price increased 3% from a year ago. The automaker’s top seller, the Silverado, saw its average transaction price fall 3%. American Honda’s average transaction price was flat with a year ago, with the Honda brand’s average price increasing 1% from a year ago. Acura’s average transaction price fell 3%. Honda’s best performer was the redesigned Odyssey minivan, which transacted 16% higher than a year ago. The redesigned CR-V also continued to impress, with its average transaction increasing 6%. Its smaller sibling, the HR-V, saw its transaction price fall 2%. As for Acura, the refreshed TLX recorded its best month for the automaker, with its average transaction price climbing 6% from a year ago. All other models were down in terms of average transaction prices.